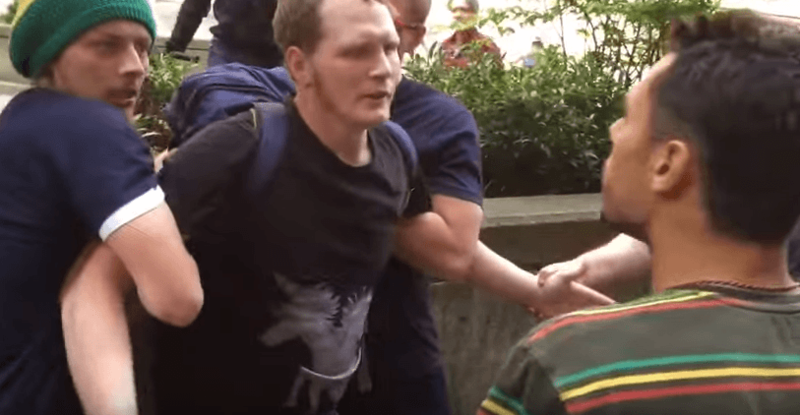 Several Trump supporters made a citizen’s arrest after an anti-Trump goon spit on a child and tossed ice on a Trump gathering. 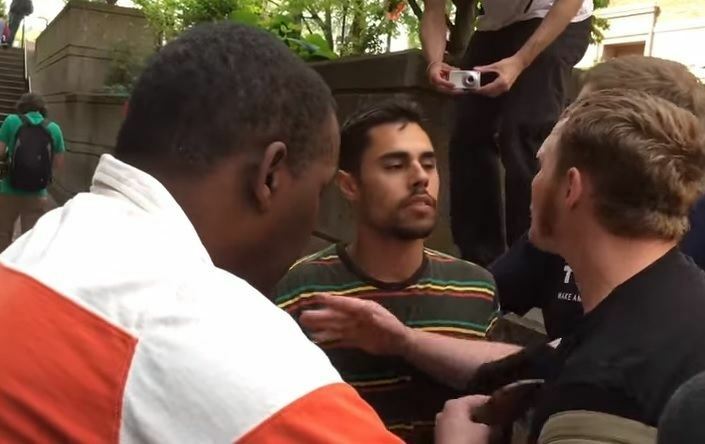 The man was chased down the street and held by Trump supporters until police arrived. For the record, the black and Hispanic-looking men were Trump supporters. It’s not clear where the event took place but it could have been the Trump march and rally at Portland State University on Saturday.